I'm happy because my cable (and therefore, my Internet connection) is back after many hours of being down for "maintenance." 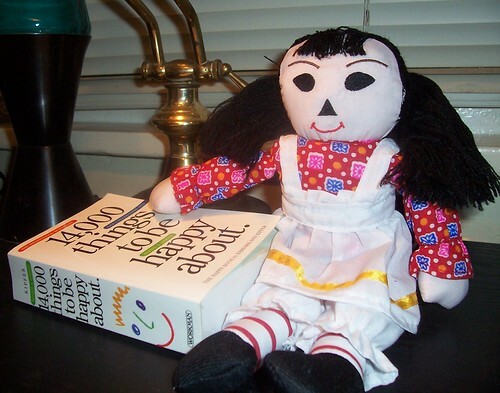 Then again, who wouldn't be happy with her very own Raggedy Chan Doll? Thanks, camillemulan! If you, too, want something to be happy about, give me a page number between 1 and 611, and another number between 1 and 25 in comments, and I'll tell you what the book says.